Johannes Tomana is an attorney and the former Prosecutor General in the Ministry of Justice, Legal and Parliamentary Affairs in the Republic of Zimbabwe. Tomana was appointed to this position in 2008 during the Government of National Unity era. He was the country's Attorney General for five years before his new appointment as Prosecutor General in 2013. He was dismissed in May 2017 after a tribunal found him unsuitable to hold office. Tomana was born on the 9th of September in 1967. He previously served as deputy Attorney-General under Sobusa Gula-Ndebele from 2006 to May 2008. Gula-Ndebele was dismissed from his post following infighting within the ZANU-PF. He worked together with Bharat Patel, who served as acting Attorney-General from May to December 2008. Tomana also worked for the Zimbabwe Anti-Corruption Commission since 2005. There was a debate in the country's political and judiciary facets over the appointment of Tomana into the post of the Attorney General. He was appointed in 2008 after the signing of the Global Political Agreement between the Zimbabwe African National Union-Patriotic Front (ZANU PF) led by Robert Mugabe, the Movement for Democratic Change led by Morgan Tsvangirai and the MDC formation which was led by Arthur Mutambara. It was a time of serious political tension in government and the appointment of Tomana by Mugabe without prior consultation with the other principals (Tsvangirai and Mutambara) created debate in the media. His appointment resulted in some claiming that the office is highly politicised and Tomana was part of the Zanu- PF apparatus specifically tailor-made to protect Zanu-PF interests in government especially in the judiciary wing. In 2013 after the harmonized elections which saw Robert Mugabe winning the controversial election, Tomana was empowered by the new constitution to fill in the newly created office of the Prosecutor General. As part of the constitutional provisions, It was reported that Tomana was supposed to go through the process of a public interview where he would be examined by a selected panel of juries. He, however, did not go through this process and activists such as the Zimbabwe Lawyers for Human Rights went on a crusade of criticising the Zanu-PF led government for tampering with the law to aid its agenda. In his capacity as Attorney General and later on Prosecutor General, Tomana was accused of compromising the justice delivery system of the country due to his alleged Zanu-PF links. In 2011 during the Government of National Unity era, Tomana was accused of incompetence after he failed to deal with any of the high profile cases of corruption and abuse of office which were brought to the courts. It was alleged that most of the cases involved Zanu-PF politicians or at least individuals linked to the party. His failure to deal with such matter attracted showers of criticism from different facets of the society. In June 2015, Tomana made controversial remarks when he said that 12-year-olds can consent to sexual activity. This was on the sidelines of the debate on Zimbabwe's age of consent which was still being deliberated at the Constitutional Court. There was massive criticism especially from the Non-governmental organizations which thought the move would increase the risk of the adolescence contacting HIV and AIDS and early pregnancies. In 2010, the United States government added Tomana to the list of Zanu-PF politicians who were under sanctions which included travel bans. Tomana was thus identified as part of the country's top leadership which was accused by the European Union and US for undermining the country's democracy. On 1 February 2016, as the factionalism fights in Zanu-PF heated up, Tomana was arrested and charged for abuse of office or alternatively defeating or obstructing the course of justice in the case where as Prosecutor General he struck a deal with 2 of the 4 men accused of attempting to bomb Alpha Omega Dairy farm in Mazowe, a dairy farm belonging former President Robert Mugabe's family. Tomana was believed to be aligned to the faction reportedly led by the then Vice President Emmerson Mnangagwa. He was granted $1,000 bail the next day..
On 16 February, Tomana made a court application challenging his placement on remand arguing that as Prosecutor General it was unconstitutional. “Every minute that I remain on remand the Constitution suffers an unwarranted violation. That must be brought to an end. Those behind the process must STOP IT!!! !,” read the affidavit. Harare provincial magistrate, Vakayi Chikwekwe, however ruled that Tomana remain on remand as there was reasonable suspicion that he had committed an offence. On 12 February 2016, the Judicial Service Commission (JSC) sought to remove Tomana from office when it wrote to him about his unsuitability to continue holding the office of Prosecutor-General. He was given 10 days to respond to the letter dated February 12, 2016, signed by the JSC chairman Chief Justice Godfrey Chidyausiku. The JSC said Tomana was not a “fit and proper person” to continue in the office of Prosecutor-General because of defying 2 court orders from the superior courts. 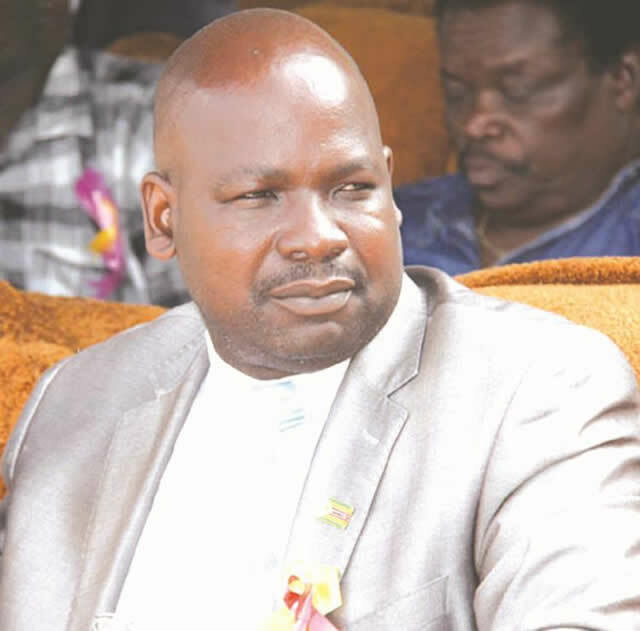 Tomana defied 2 court orders to issue certificates for the private prosecution of Bikita West legislator Munyaradzi Kereke and Telecel Zimbabwe shareholder Jane Mutasa. He was sentenced to 30 days imprisonment wholly set-aside on condition that he complied with the court orders and issue private prosecution certificates to Francis Maramwidze and Telecel, within 10 days, a failure which he would be barred from practicing as a lawyer in Zimbabwe. Tomana immediately filed an urgent chamber application seeking an interim order stating the process for his possible removal from office. If first respondent’s position (JSC) is that it wants to enforce its costs order, it must tell me, give me time to pay and that will be the end of the matter. What is unacceptable with respect, is for the first respondent to tell me that it will not enforce the costs order then turn around at a time that I am supposed to be testifying in defense of my job. The clear intention is to unhinge me. Execution carried out under such circumstances cannot be lawful. After suspension Prosecutor-General Johannes Tomana was dismissed for alleged misconduct and incompetence after a tribunal set by former President Mugabe to probe his recommended dismissal. The then Secretary for Justice, Legal and Parliamentary Affairs Mrs Virginia Mabhiza announced in a General Notice 292 of 2017 published in the Government Gazette 9 June 2017 that Robert Mugabe had acted on the tribunal’s recommendations. The decision by the President came after a disciplinary tribunal chaired by Retired High Court judge Justice Moses Chinhengo found Tomana unfit and no longer proper to continue holding the esteemed office. Following Johannes Tomana's application to the High Court seeking the dismissal of the charges over the State’s failure to prosecute him within six months set down in terms of section 160(2) of the Criminal Procedure and Evidence Act (Chapter 9:07), He was freed of all charges eventually. Tomana was accused of alleged criminal abuse of office and was indicted for trial on November 17, 2016, but he was not tried even though his trial was set to commence in February 2017 at the High Court. Tomana had also applied for an order returning his liberty and release of his bail recognizance held by the State. In his application, Tomana argued that in terms of section 160(2) of the Criminal Procedure and Evidence Act (Chapter 9:07), if no trial takes place for a period of more than six months from the committal date, the charges must be dismissed on the basis of the lapse of the indictment. ↑ , US Freezes Assets Of Zimbabwe Attorney General Tomana,Zimeye, published:21 Dec 2010,retrieved:19 Jun 2015"
↑ , Johannes Tomana, retrieved:26 Dec 2014"
↑ 4.0 4.1 4.2 4.3 , Who’s been Zimbabwe’s best and worst minister?,Newsday, published:31 Dec 2011, retrieved:26 Dec 2014"
↑ 5.0 5.1 M Mugabe, AG Tomana Escapes Scrutiny, Becomes PG,Joomla, published:13 Nov 2013, retrieved:26 Dec 2014"
↑ , The Interview: Johannes Tomana,Chronicle, published:19 Jun 2015,retrieved:19 Jun 2015"
↑ , US imposes sanctions on Tomana,News 24, published:22 Dec 2010,retrieved:26 Dec 2014"
Please visit the following to contribute to the profile of Johannes Tomana.